A theme provides you with a starting point, which you can then customize further. 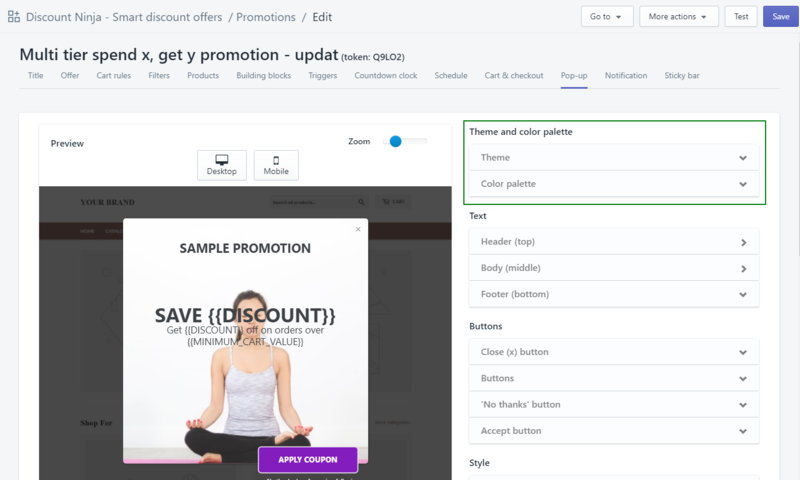 To change themes, simply click on "Theme" and click the button "Select new theme". You can select a "color theme" to change the colors of text, background and buttons based on a set of matching colors. The background color, border color, button color, text color... can all be modified. The color picker has two bars on the right, one for the color and the second for the transparency. At the bottom you find a list of "favorite colors" (which you can define in the settings of the app). 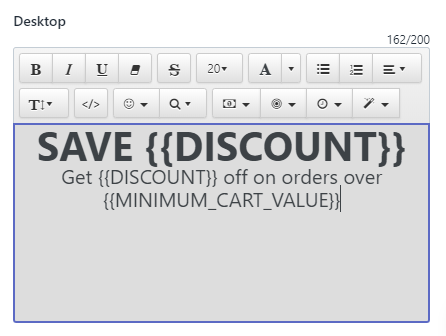 The text of the header (top part), body (middle) and footer (bottom part) as well as the text of the buttons (Accept and No thanks buttons) can be modified. To change the color of the text, select the text and click the "A" in the toolbar to change the color. Use the "</>" command in the toolbar to change the html of the text if necessary. 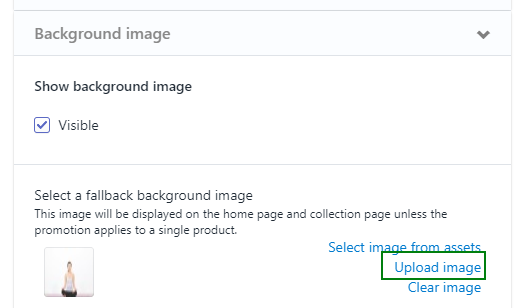 The background image can be changed by clicking "Upload image". You can select png, jpg and even gif.